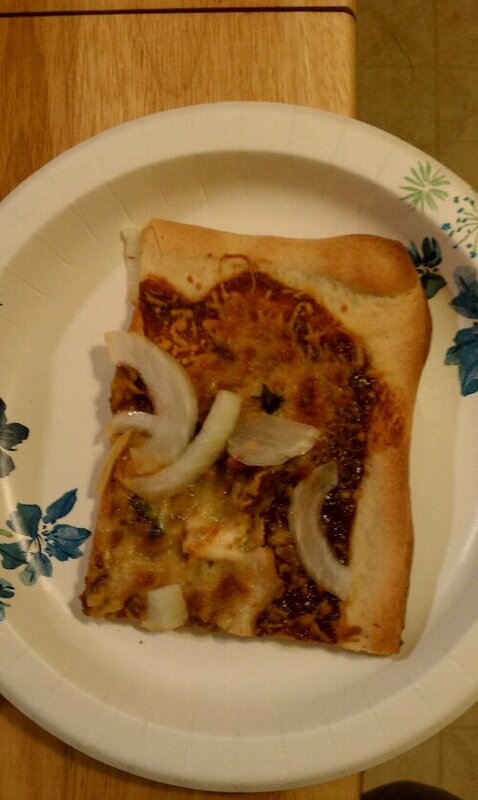 Last night I decided to use the last of my Flame Tree barbecue sauce to make a barbecue chicken and beef pizza. It was easy and delicious. 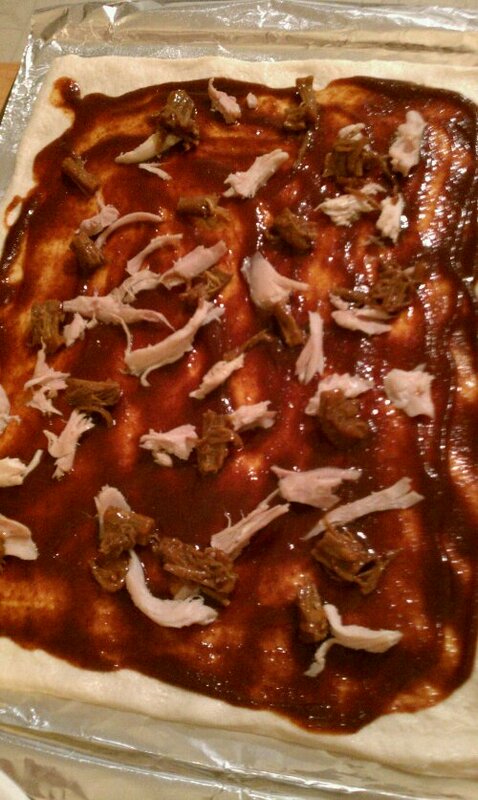 I started with the store-bought pizza crust and coated it with the Flame Tree Barbecue Sauce from the recipe I posted earlier. Then I added some roasted chicken which we bought a few days earlier and the beef from a previous recipe, which will be posted further down the page. 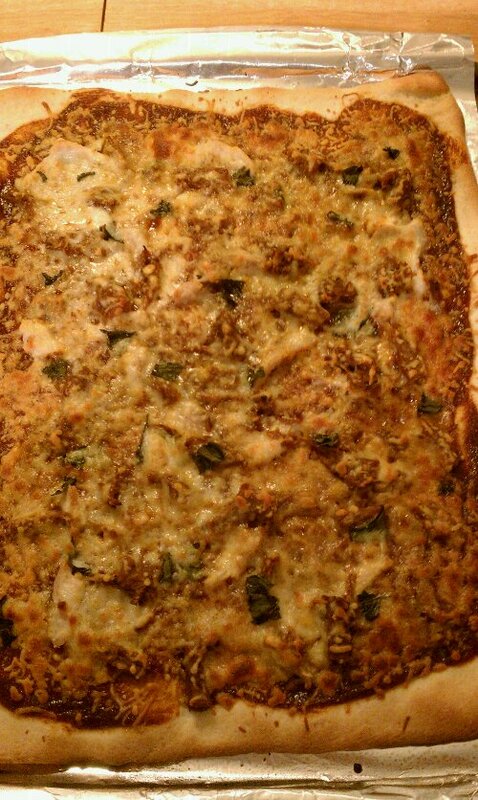 Once the meats are on add 1/2 the torn basil and enough cheese to coat. Add the rest of the basil on top of the cheese and bake per instructions on the package. Add the thinly sliced onions to the pizza and slice. The pizza was spicy and tangy and a nice change of pace from your traditional pizza. Place roast in slow cooker and add all ingredients, making sure to coat the roast in barbecue sauce. Cook for 4 hours on high or 7 hours on low. Once roast is done, remove from cooker and shred. Place beef back in cooker to coat in remaining sauce. I hope you enjoy these easy recipes as much as I did!